Travelers move through a TSA checkpoint at Chicago's O'Hare International Airport in this file photo. 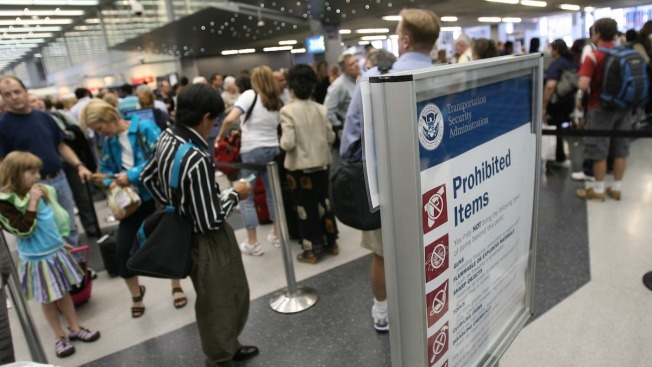 The Transportation Security Administration on Monday replaced its head of security and created a centralized incident command team, moving dramatically to address the issue of long airport lines. Kelly Hoggan, the agency's assistant administrator for security operations since 2013, will be replaced by Darby LaJoye, TSA Administrator Peter Neffenger said in an internal memo obtained by NBC News. LaJoye, a deputy assistant TSA administrator, was previously a top security official at two of the world's busiest airports: Los Angeles International Airport and JFK in New York. Hoggan, who has been the focus of congressional inquiries into staffing and pay decisions, was reassigned to new duties, Neffenger said. The appointment is part of a series of moves that Neffenger has taken since hundreds of passengers were stranded in security lines as their planes took off at Chicago's O'Hare International Airport earlier this month.